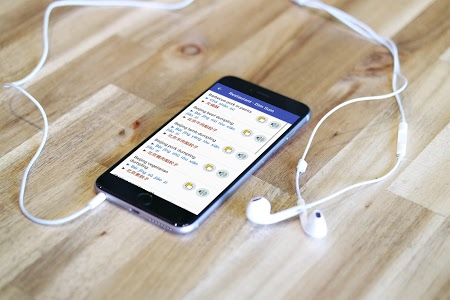 If you are one of those who believe Learning Mandarin Chinese (中文) is too difficult to even giving it a try, the “Chinese Speak, Learn, Listen” app will completely change your mind. 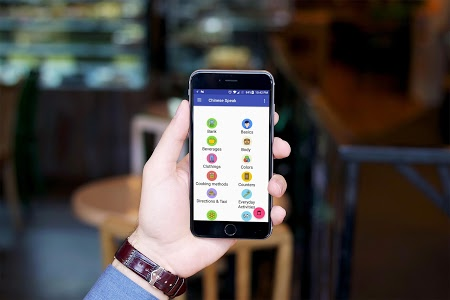 The app uses a new method to teach Chinese language through teaching and learning the most common Chinese phrases or Mandarin phrases in different occasions and environments. 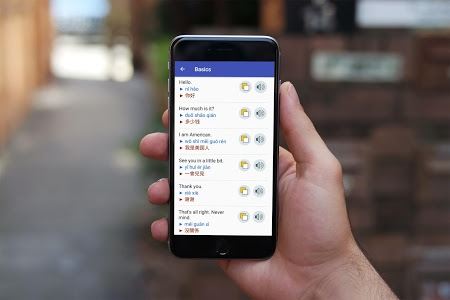 For example, if you are lost in the Beijing subway or asking for a direction in the crowded Guangzhou or want to order some Chinese food in Shanghai in Mandarin, this app provides you the basic phrases to handle the conversation in such situations and places. This learn to speak Chinese app is designed super user friendly and everything can be easily found in Mandarin Chinese. For example, if you are in a Taxi and want to know about the estimated arrival time, you just need to open the app, go to the “Direction & Taxi” category and look for the related phrase. Now, you can either read the phrase in Chinese (the handwriting is both in English and Chinese) or touch the audio and let the native Chinese speaker, read the phrase for you. “Chinese Speak, Learn, Listen” is completely free with no need to internet connection and work flawless in offline mode. Who Should Install this Chinese Learning App? 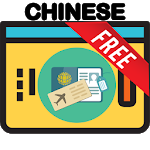 Well, if you are a beginner in Chinese language, or you are tourist or a businessman who are planning to visit China, then this learning app is a MUST for you. It is also very useful for those who are in the advanced level of learning to speak and listen to Chinese. 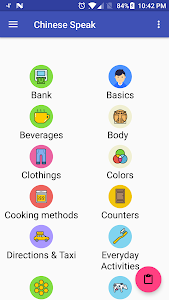 School, Bank, Basics, Beverages, Body, Clothing, Colors, Cooking methods, Counters, Directions & Taxi, Everyday Activities, Food Basics, Grocery - Dairy, Grocery - Dry goods, Grocery - Fish & Meat, Grocery - Fruits, Grocery - Spices & Preserves, Grocery - Useful, Grocery - Vegetables, House, House - Bathroom, House - Bedroom, House - Dining room, House - Kitchen, House - Living Room, Job Status, Money, Numbers, Occupations, People, Places, Restaurant - Chinese, Restaurant - Dim Sum, Restaurant - Useful, Shopping, Sports & Recreation, Study, Tech & Gadget, Time - Days of the Week, Time - Months of the Year, Time - Years, Time of Day, Travel & Transportation, Useful Adjective and Weather, Climate Seasons. Learn the Chinese Language with the Chinese Speak, Learn, Listen app. The app is your versatile interpreter which can handle general conversations or specific situations and using this app you don’t have to worry about how to learn Chinese easy and fast. 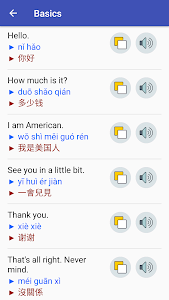 All the necessary phrases and words have been translated from English to Chinese and you can easily tap the audio button to listen to the native speaker or say the Chinese phrase yourself by reading the Chinese handwriting or English handwriting. 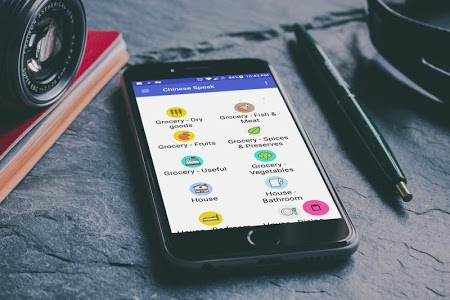 This learning app is completely free and falling in love with it is 100% guaranteed. Similar to "Chinese Speak, Learn,Listen 中文"